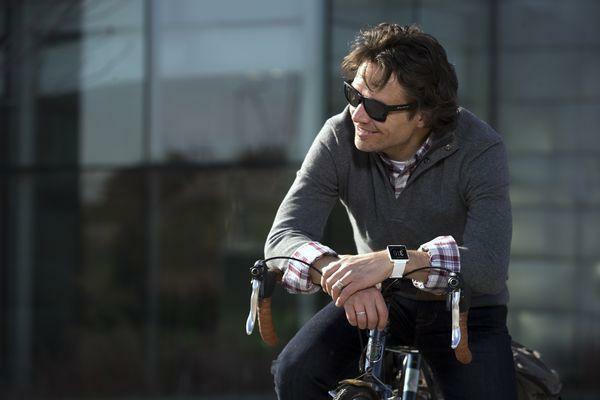 The answer is simple: No wearable will make you fitter and healthier if you don’t want to be. But beneath that simple answer are some questions that took over a month to resolve. 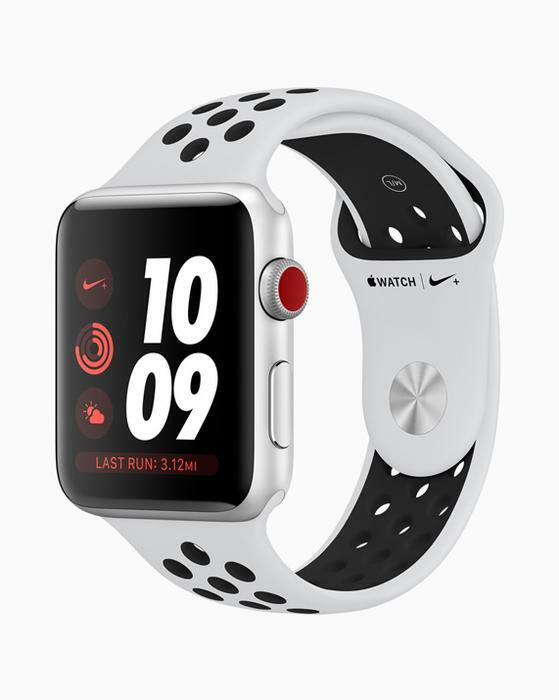 The most fundamental of these was: If you were to go “all-in” on the tracking and coaching technologies found in some of the best wearables on the market, would they really empower you to live a healthier lifestyle or would they end up being too much of a chore in the long-run? We’re talking about a small version of big data on your arm - in my case arms as I wore two watches at the same time - and the watches offered plenty of wrist vibrating and visual nudging. And for that post-exercise-deep-dive there was data galore to be mined on the smartwatch and desktops apps associated with each of the five wearables tested. And I’m a data junkie. I love this stuff. I used to run half marathons - more than 25 in the past decade - and only sickness slowed me down! As I trained I reveled in every stat I could get - kilometre rates, overall time, bpms, you name it and I would happily swallow in it, especially if it showed I was getting faster and approaching some sort of peak fitness. That was BAW - Before Apple Watch. I think it changed the game. Prior to that there were plenty of sports watches for fitness fiends - they generally weren’t that complex and they fed you everything you needed, even though some of the operating systems were bit clunky and the watch faces lacked any design inspiration. And those dedicated sports watches and sports bands still exist but so does the new stratosphere: the smartwatch that offers it all - including, sometimes, a cost to match. I have a codicil - the whole feed-your-diet-in-each-day-to-an-app and check your calorie/kilojoule count against your calorie/kilojoule burn just doesn’t work for me. Diet is massively important when you are trying to either less weight and/or get or stay fit. It has to be paramount to what you do and no app or watch in the universe is going to make you eat better, in my opinion. That just comes down to you wanting to get fit, eat right. At best, the process of feeding in such information is a gentle nudge to your conscience on days when intake exceeds burn and doughnut defeats commonsense (and there have to be days in your life when it is does). This feature looks at wearables that are much more than just timepieces and have dreams of being as important to the fitness freak as they are to those who just want to tell the time, date, read and perhaps respond to emails, answer a call, use their phone apps when their smartphone isn’t around, and watches that are minimal smartwatches but strong sports watches. It doesn’t consider sports bands which can offer excellent sport-only functionality and are often much cheaper. So let’s start with a premise: the Apple Watch Series 3 is the best overall wearable device. 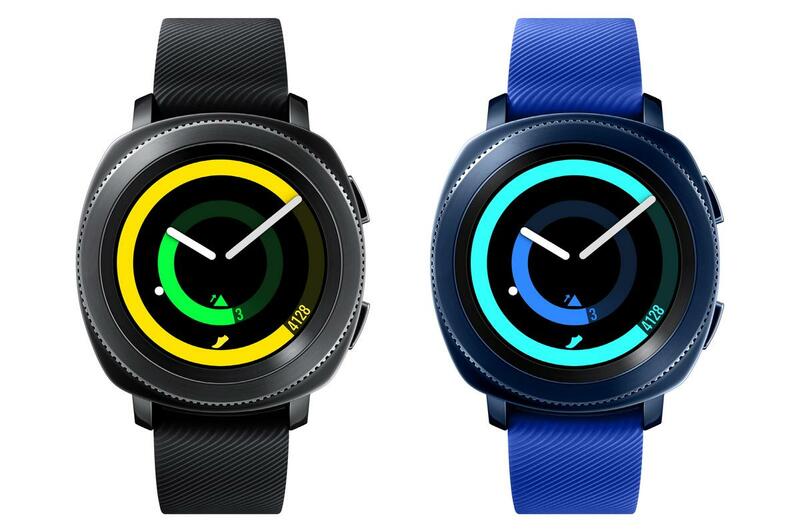 After weeks of wearing both it and some of its opposition - the Huawei Watch 2, Samsung Gear Sport, Fitbit Ionic and the Garmin Vivoactive HR - the Apple Watch comes out on top as the best daily wearable. 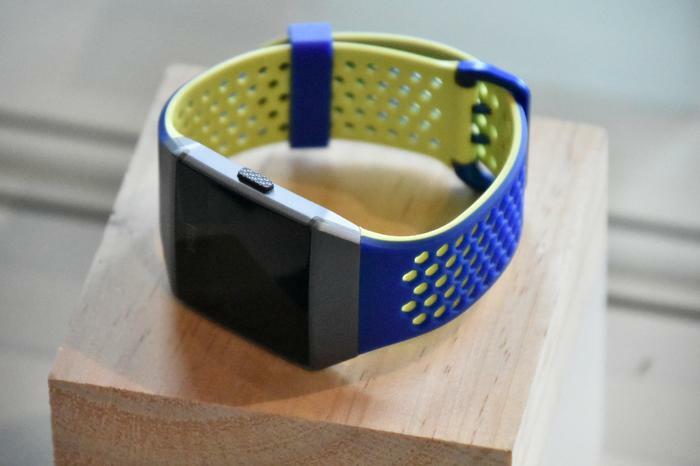 Whether it is the best sports wearable in the world is another question entirely. Which sports smartwatch is the easiest to setup? Most of us aren’t high profile athletes and getting fit and healthy probably demands support and encouragement from family and friends as much as it does the same from your wearable and its associated apps, smartphone and website. For me, this whole process starts with ease of use. If the wearable isn’t easy to use, I just won’t bother to use it. No matter how smart or encouraging it might potentially be, it isn’t any use if the operating system is clunky or complicated. So let’s starts this journey here with the fundamental point: is the OS simple enough that I’m going to actually use the watch itself? The Apple Watch Series 3 is a multi-layered beast. There is, much like a DSLR camera, layer upon layer in it, but the good news is it’s pretty easy to get your head around - and set up. That’s important. If the set up process is like some awful repeat of Groundhog Day where you keep going nowhere over and over again then it’s a killer. It's lost me there and then. The Apple Watch, Samsung Gear Sport and Fitbit Ionic were all better than 8 out of 10 to set up. In other words, I didn’t get lost in the process and start swearing. The Huawei Watch 2 runs Android Wear and as such is primarily aimed at that system - although it is also iOS friendly, partially. Android Wear can be used on an iOS device but it won’t manage the watch while Huawei Health is not supported on iOS devices. As I use an iPhone and all Mac devices the Huawei is at a disadvantage in this scenario and obviously can’t show it’s best. While I will comment on the Huawei Watch 2 as we go along, it is with the codicil that it needs an Android phone to get the best out of it. That said, I found the set up difficult and in a couple of cases couldn’t do what the watch asked. It didn’t talk to my phone and as such limited what I could do - for instance, I couldn’t download an update because Wi-Fi wouldn’t pick up; and when I wanted to use a fitness app it asked for a Google account which it would get from my phone. It couldn’t get this because there was no network with the phone - despite being paired through Bluetooth. Maybe it was me being dumb (that is entirely possible), but it’s these kind of problems that make me hoist the white flag. It has to be noted all the other watches worked fine in this regard including the Samsung. The Garmin Vivoactive HR has been my fitness watch of choice for around a year until I began this piece. With all the basics anybody will need up to semi-pro use and a reasonable operating system, my Vivoactive HR has survived both a drowning and fall that rendered my DSLR useless. That said, having lived in the world of the big three here - Apple, Samsung and Fitbit - it appears by comparison just that little bit off the pace. However, it is still easy to set up and, once you get the idea, it’s relatively easy to use. Which sports smartwatch has the best design? Somewhere between a fitness band and a sports watchband, the Vivoactive HR has very basic smartwatch capabilities. 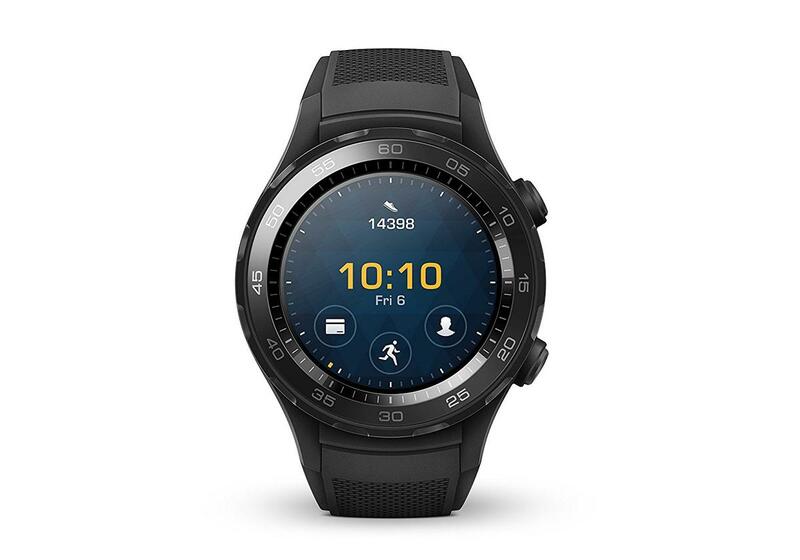 Garmin does have one of the world’s very best GPS sports watches though - the Fenix 5 (it isn’t cheap at $799 but if you are after a serious pro multisport watch then it must be considered) and a higher-level smartwatch, the Forerunner 735XT which at $598 is a great fitness watch and basic smartwatch. By comparison, The Apple Watch and Samsung Gear Sport are both beautiful to look at. They win the shiny toys aesthetic award. 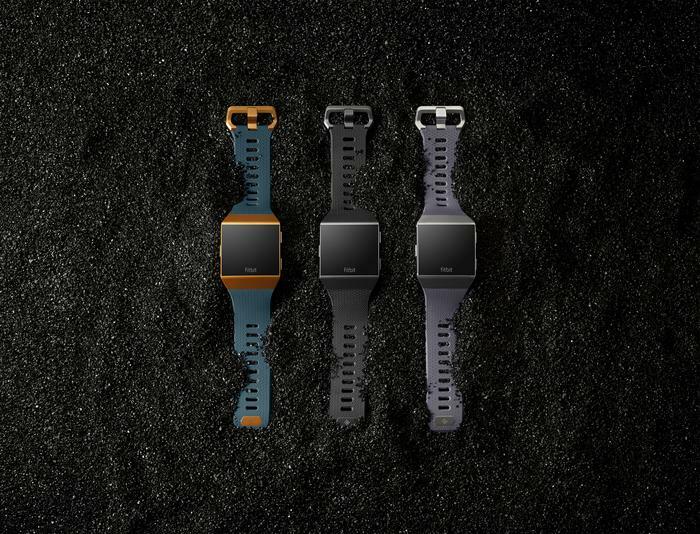 The Fitbit isn’t far behind and has a classic pro sports watch look about it with its chiselled rectangular face and grey band. It doesn’t have the toys the Samsung and Apple offer - you can’t get your email or answer it; the Ionic does list notifications to your phone as they come through, but it does deliver - simply and effectively - all the workout detail and activity tracking you are going to need. It takes absolutely no time to work out how the three button system works. Top right button lets you review all your current stats; the bottom right offers six basic workout zones - run, bike, swim, treadmill, weights and interval - and hooks you into the tracking system straight away. The left and button takes you back to the watch face. Nice. 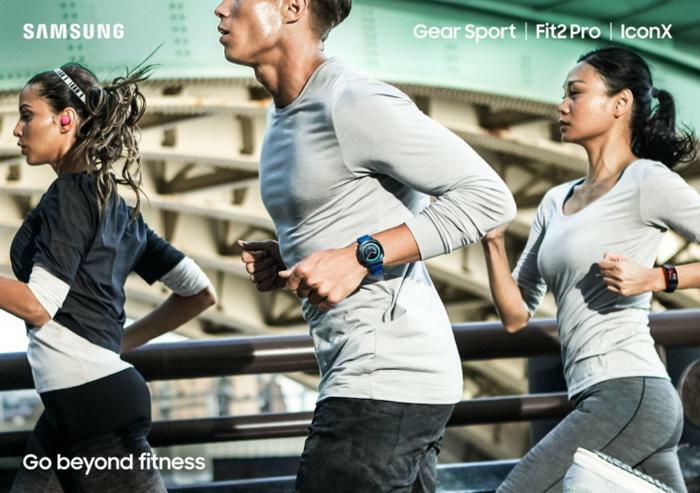 It tracks BPM - heart rate monitoring is big (as its should be) with all these wearables. 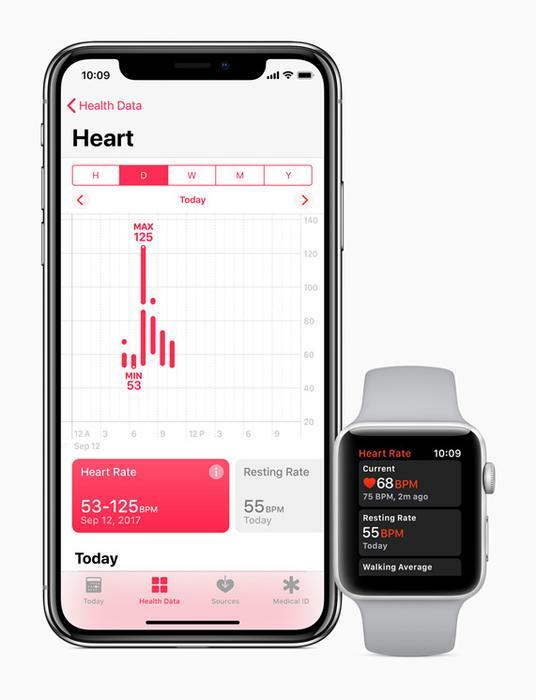 The Apple Watch even has an alert that tells you if and when your resting heart rate suddenly spikes into an area considered potentially unhealthy. The Huawei is also shiny but not quite as beautiful and the basic screen display doesn’t compete with either the Samsung and Apple and there’s little doubt that it has gently borrowed Apple’s key three rings (move, exercise and stand) and reinterpreted them in its main display - not nearly as successfully - as steps, minuses and times. The icons and rings are very small and very hard to read. The Vivoactive HR goes for the display fundamentals - as any good sports watch should - and won’t disappoint the four-day-a-week work out crew. To facilitate action comparisons I ran with all five watches - and, for me, the Apple Watch, Samsung Gear Sport and Fitbit Ionic were the winners. Which sports smartwatch is the easiest to use? The Apple Watch Series 3 is incredibly easy to use and has the added bonus off being easy to pair - if you can afford them - with Apple’s true wireless Bluetooth earphones. It also is the easiest of the three to add music to. And music is very important when it comes to exercise. The display on the Apple Watch Series 3 while running is clear and it is the easiest watch to check stats on after the event. If it has a flaw it is that it only pauses automatically (once you enable the setting on your smartphone) when you are running. If you are out for a brisk walk as exercise you have to manually pause. This is where the Samsung Gear Sport wins, albeit narrowly. It pauses walk or run. Its display is fabulous, large, bold and bright and the ease of use is ridiculously impressive. It has a bezelled ring on the front which you turn right to go through your daily stats or start a run, walk, exercise etc and left to go through your latest emails and messages. Brilliant. The Fitbit is similarly easy to use. Click through using the bottom right button to whichever workout you wish to enable, stop with top button. Nice clear screen, easy access to stats. Apps seem to come and go though and sometimes requires a restart and most need to be added once you have bought the watch. Which sports smartwatch offers the best connectivity? For me the Garmin’s greatest failing was getting a GPS satellite fix - it could take three to five minutes, compared to the virtually instant fixes of the other four. Such little delays can be a put off when you want to train. All the wearables have associated mobile app and website displays but the best are those associated with the Apple Watch (it’s actual on-watch display is impressive too), the Samsung Gear Sport and the Fitbit Ionic. The Huawei Watch 2 does have something none of the others can boast - a 4G SIM slot (you have to get a standalone SIM), making it the first smartwatch in Australia to support 4G. Impressive. You can go for a run without your phone and with all the add-ons your smartphone offers. Music comes most easily via Google Play Music which means you can store and play music directly from the watch. However, the Apple Watch Series 3 (GPS + Cellular) offers the same freedom with it’s much-vaunted built in eSim. 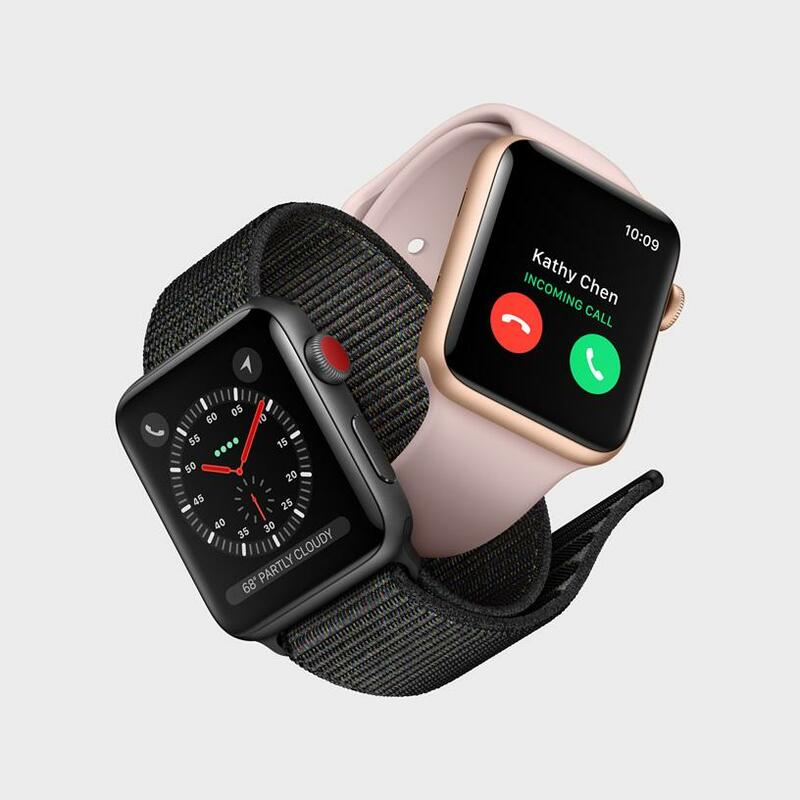 If your iPhone and Apple Watch Series 3 (GPS + Cellular) are both connected to a cellular network, your watch can do everything that it normally does, even if your iPhone isn't with you. If you have a Wi-Fi connection, when your iPhone is off or out of range, your Apple Watch can use Wi-Fi networks that you've connected to previously on your iPhone. When you connect to one of these Wi-Fi networks, you can still send and receive messages , make and receive phone calls, use Siri. You can add specific albums and playlists to your Apple Watch by syncing them. 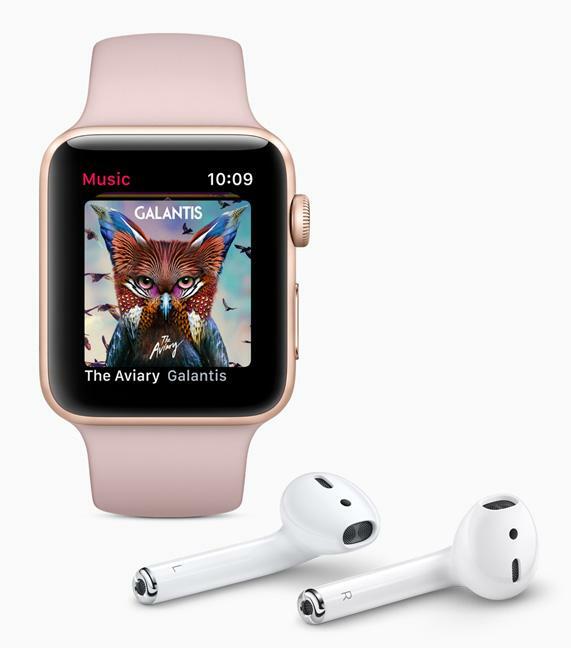 After you sync you can play the music on your Apple Watch without your iPhone. It is really easy. The Samsung Gear Sport misses out on LTE connectivity which means it needs your phone to stay connected to either Bluetooth or Wi-FI. It has an excellent GPS tracker and can store music. And, this is a biggie, it is the first wearable that can play Spotify - if you have a premium account - while you are working out. No need to transfer songs to your watch even though it has 4GB of storage for music - and it is quite a slow process. 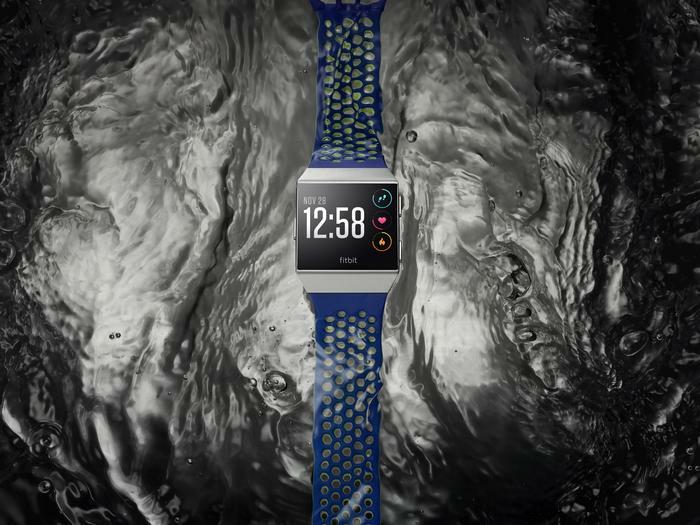 The Fitbit Ionic doesn’t have all the smartwatch abilities of the Apple, Samsung and Huawei wearables - but do you need them when you are exercising? In fact, perhaps it’s a case of the less distractions the better! It can store music and play it direct to Bluetooth earphones. 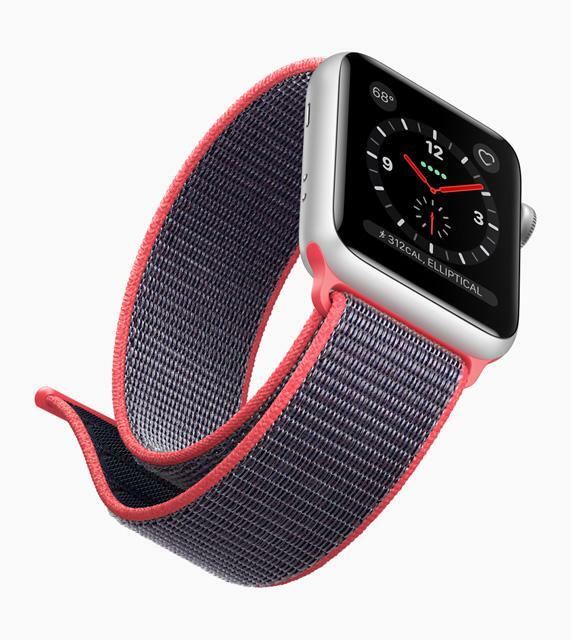 The process of getting tracks on the watch is somewhat more complicated and requires creating at least one playlist of songs or podcasts in iTunes or Windows Media Player to download to the watch. You can also create playlists in the Fitbit Music app using the drag-and- drop feature to add individual tracks. User feedback on the Net indicates this process has its problems from time to time, so leave some time to get it done. How accurate was each sports smartwatch? I found the distance tracking abilities of all the wearables over a 4km run to be excellent with the Fitbit, Apple and Samsung watches returning readings within 30 metres of each other, the Garmin 40 metres and the Huawei within 20 metres of the Apple Watch and 50 metres of the Samsung. Which sports smartwatch was the best? Super smartwatch, a little complex but loads of functionality, easy to charge (and I had no problems with rapid loss of charge), does motivate you to close all the exercise rings each day with little reminders or nudges (you DO go the extra metres!) and excellent phone apps. The device has its faults but they don’t really detract from what is an excellent wearable no matter how you look at it or try and categorise it. The best. From $559. Without cellular from $459. 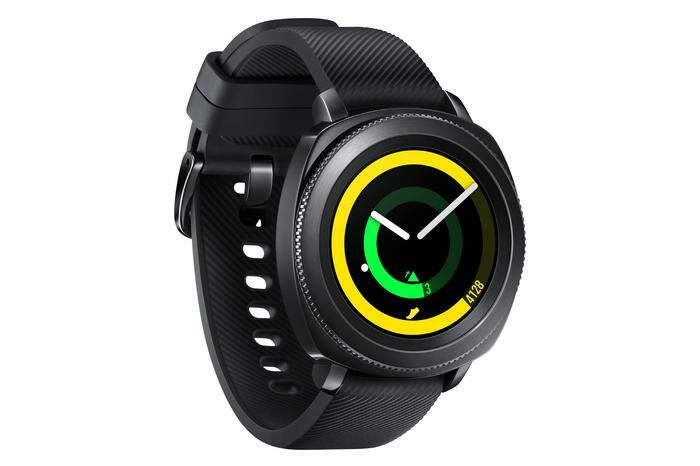 Samsung Gear Sport: The best interface of any of the watches, very easy to use, very good functional display, suffers from lack of LTE connectivity in terms of being a go-anywhere-smartwatch but still performs very well as an exercise watch. Besides - do you really need to talk to your watch or answer messages while exercising? Doesn’t have a lot of native apps. Doesn’t have the exercise reminders the Apple comes up with. But it does have that brilliant interface and plays Spotify. While it works with iOS, it’s probably best used with a Samsung phone though. $499. Huawei Watch 2: Supports 4G - something none of its Android rivals can compete with but other than that is a work in progress. Poor screen display and aesthetics lets what is a reasonably functional and intuitive smartwatch down. As a sports watch it does everything you need it to and holds its own against the Android mob. It just didn’t grab me but it will probably appeal to many others. It is also little expensive for what it offers. $599. 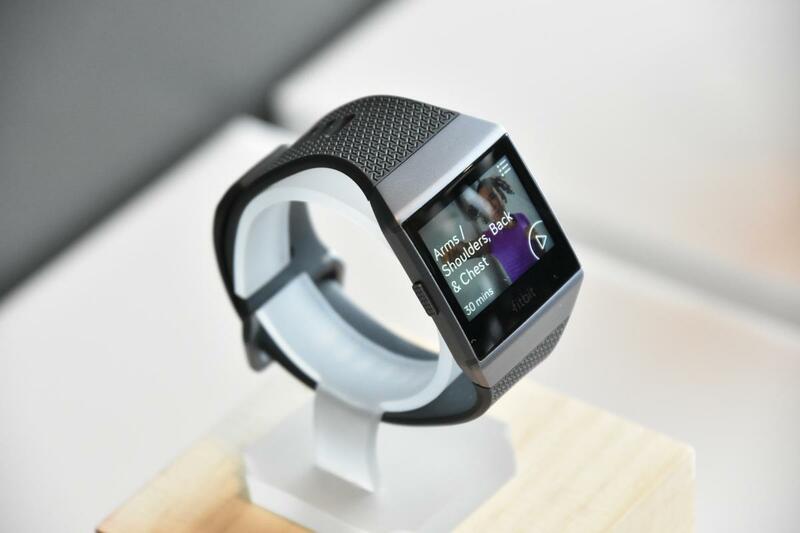 Fitbit Ionic: If you just want a sports watch with basic smartwatch functionality - and it is very basic, then the Ionic is impressive. It also has excellent battery life (around four days), and functional design. And Fitbit sends you weekly email summaries of your efforts - which are always encouraging! The interface is generally pretty good although the three buttons and swipe system is occasionally confusing and loading music can be difficult. It’s tad expensive for what it is but I’m still impressed by it. $449.95. 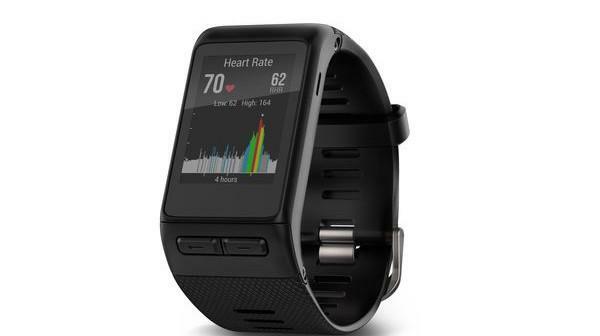 Garmin Vivoactive HR: Shouldn’t be considered a smartwatch but rather a sports watch with a tiny bit of smartwatch functionality. Has a slightly clunky interface and takes longer to find GPS than any of the other watches tested. That said it’s also cheaper and works perfectly as a good middle level sports tracking watch. You should also explore the upper end of the Garmin sports watch range. 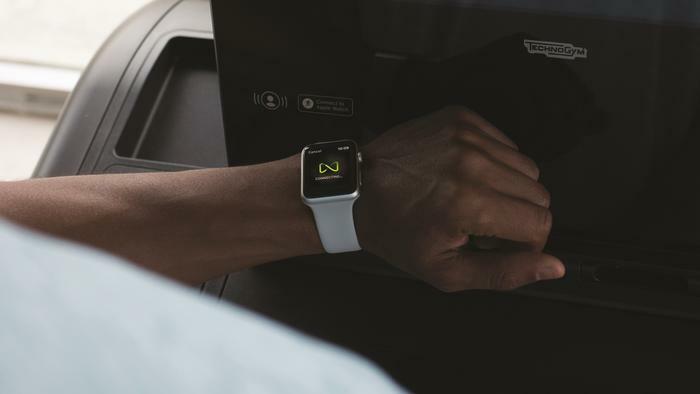 Smart watches and sport watches can make you go the extra yard to get fit - especially the Apple Watch Series 3. But the motivation needs to be there in the first place. That said, the Apple Watch Series 3 - with or without LTE - is a great watch and deserves it’s #1 ranking. I also recommend the Samsung Gear Sport and Fitbit Ionic with the reservations expressed above. You won’t be disappointed with either. Bottom line though - fitness is not a mood or interest for a day, a week or a month, it IS a way of life. 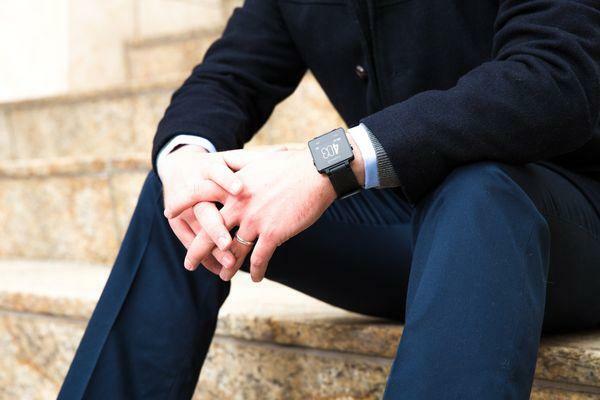 These wearables are part of the support network to that way of life.